MLM Closing the Prospects training. The Power of Closing your prospect must be released in your words and actions- are they for your home based business? Are YOU using the 5 laws of Closing for your network marketing business? What are you doing to bring your closing ratio up in your mlm business? The Power of these 5 Laws are amazing in getting you to understand why most people will NOT close the majority of their prospects in their home business. What happens if you break the law and speed in your car, and get caught? Can you say YOU GET FINED? Ok…we known hat Laws if you break them have consequences, and some times can be severe. But yet, many people still have a tendency to disrespect the laws. But laws if adhered to, can bring better results, and often a better life experience. Can that not happen in business? Can you not have a better experience in your home business if you adhered to certain “laws” that have been put in place? 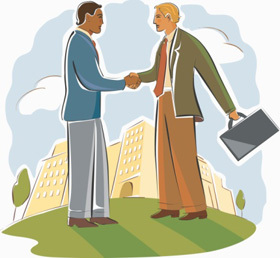 Closing is not that hard when you have a prospect- IF you adhere to certain realities and “Laws” that are in play. I cannot tell you how many people in seminars have told me – and this is worldwide- that they cannot CLOSE anyone. But they are in a “lawlessness” state and breaking the very laws they do not even know in most instances. Do YOU know the 5 Laws of Closing Your MLM prospects? Most do not, and have never even heard of them. But if you know them and follow them, you will find that your business and results will EXPLODE in a way that you never thought possible. I know. I have been there and once we figured some things out, our business and closing ratio ROCKED! Ok..what are the 5 Laws of Closing Your MLM prospect? 1. The Law of CIAFOL. Closing Is A Form Of LEADERSHIP. Simple. Pure. Right on. If you LEAD the prospect, and just not close them, you will find your business and closing results will SKYROCKET ! Yes, there are other parts to closing, but you MUST close through the Lens of Leadership and if you do, you will find your results much better. 2. The Law of NO PRESSURE. Closing is NOT pressuring. It is COMPLETING. It is Following THROUGH. It is DRAWING into. But it it NOT pressuring. Pressure can PUSH the prospect away and you can lose them. But if you “ASSURE” them, not pressure them, then you will find your closing ratio growing. 3. The Law of Agreement. The prospect MUST come into agreement with the you before you will ever close them. Agreement WELDS the prospect to your Leadership with the Fire of Hope. And if you bring the prospect into agreement, then the closing will happen more natural, and more powerful. Get them to AGREE with you. 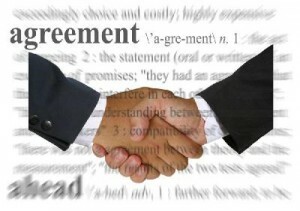 Agreement brings a great day in your business. 4. The Law of Quiet Confidence. There is NOTHING more Magnetic then Quiet Confidence. It PULLS people into the “closing net” and they feel very comfortable..
Because Confidence brings “relief” to the prospect in knowing they have made the right decision and TRUSTS you to help them get the benefits promised. Weakness pushes the prospect AWAY and it does that every time. Confidence brings PULLING POWER without saying a word. You KNOW you are a Leader and can lead this prospect to the life they want, and to a destiny they once only dreamed of. Be confident, but NOT arrogant. Arrogance is a cancer to your business and you will never close anyone with it. “I am going to the top of the mountain and I am taking a LOT of people with me- with you or without you.” That needs to be your focus and mindset. It is a “Whatever” mind set and basically puts a fear of loss in the prospect. These are briefly the 5 Laws of Closing No One will tell You for your mlm network marketing home business. 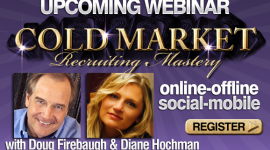 FREE Network Marketing Training Webinar on Monday Nights- 10 PM EST! click for details! MLM Closing your Prospects Training. Do you have trouble getting the prospect to sign the application in your mlm home business? Are you wanting to know more secrets to closing in your network marketing business? How would you like to know the most powerful closing phrase you can say in mlm? In any home based business, you are going to have to ask for the order or the prospect to make a decision about your business, and you must be good at it. 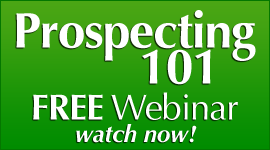 If you are looking for a GREAT training on how to close your prospects every time, then go to How to Close Your Prospects Mastery Webinar! This will ROCK YOUR WORLD! Many people have different ways to close the prospect and there are many techniques that work. Some work better then others, but most are pretty good in closing the mlm prospect. There are different components to a good “Closing Strategy” for your home based business. The “Closing Strategy” you must have must be EFFECTIVE and powerful. Many prospects try and close their prospect for ALL the wrong reasons. And that alone can create frustration for the distributor in network marketing. What is YOUR strategy for asking the prospect to TAKE ACTION on your mlm offer? Do you have one or depend on someone else’s you have learned? An effective closing ratio is a MUST if you are going to build a business, and if your strategy is NOT effective you will struggle throughout your mlm career. Many great prospects get away because of an ineffective closing strategy. That is the purpose of this post. To help you start crafting an effective and magnetic closing strategy that will work for you, not against. Many closing strategies do not work at all. It is time you started the journey to closing jsut about everyone you talk to about your business. Yes. Very. If you know how. 1. It MUST feel NATURAL to the prospect. If your closing strategy doe not feel NATURAL to the prospect, they will be resistant. You will struggle with the process. 2. It MUST feel NORMAL to the home business prospect. How the strategy works MUST feel NOrmal and something they woulf hear in a normal conversation. 3. It MUST feel NON- AGENDA to the mlm prospect. The issue with many distributors is their closing strategy feels like it has an AGENDA. You WANT something. 4. It MUST contain MAGNETIC VALUE and PULL the prospect towards you. There must be VALUE for the prospect and so much VALUE that it PULLS the prospect towards you. If you learn these 4 closing MUSTS, you will find it easier to close your prospects in your mlm network marketing home business. MLM Closing Prospects In MLM. Have you ever talked to someone and talked them out of your home business? Does your heart skip a beat when it comes to ask for the order for your network marketing business? 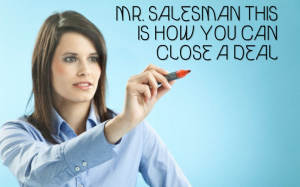 How do you “close” someone when you want to recruit them into your direct sales business? I did a post a while back, called “7 Biggest Mistakes Made in Closing the MLM Prospect” you may want to check out as it really will help you recruit. And it will help you in your Closing efforts as well. There are many “secrets’ that you can learn and use, but when I was rocking and rolling, I was blessed to have an INSANE recruiting and closing ratio. 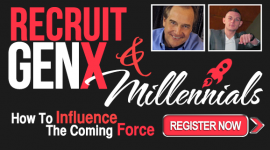 And using that combination, you will be shocked at how that works for your recruiting efforts. There are 7 MORE “Closing Secrets” that I want to share with you, and I would suggest you learn them and engage them in everything you do. 1. 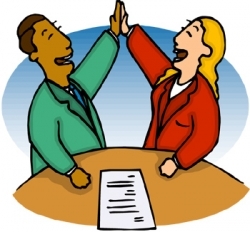 You Never stop talking and talk yourself right out of the sale/partnership. In closing it is important that you let the prospect reveal to you how joining your business will help improve their current situation. You MUST focus on that and that is what is called “the Closing Magnet.” It will PULL THEM IN. It is important to let the prospect reveal as much as possible about them. You must shut up and listen. 2. You Display Weak Posture, Timidity, and Hestitancy. You MUST understand that you must come across with AUTHORITY. Posture IS authority. You must have posture. To overcome this you must not fear rejection, the word “no,” or people not respondig back to you.. In closing you must BEGIN STRONG….but also END STRONG. 3. You Believe the prospect’s excuses and negative words. When prospects give you an excuse, all it means is that their objections or words are rooted in 2 things: Fear and Worry. You have TOTAL control over this situation and results. You must intervene and get them out of that fearful or worried state of mind. 4. YOu Don’t stick to the proven script or Talking Points. I am a big fan of “Talking Points.” And of course, certain types of scripts or talking point. When using a proven script ot talking Points, it is important that you don’t let your ego get in the way and use it. Scripts and Talking Points are designed for a reason and of you try to add and subtract you could subtract yourself out of a sale or business partner. 5. You Get Defensive and Irritated. Okay so you keep your posture but become defensive when you hear an objection like “ I need to think about it, ” or “I am not sure…” as it is okay to help ease the prospect fear of course, but you must maintain your authority, power, and posture. Do not go off on them and try to make them feel bad. 6. You Totally Dominate the conversation. It is not cool to do all the talking and focus on the words “me,” “I,” “mine,” or “my.” 80%. That’s the percentage that the prospect should talk, and you listen. This is critical that you do this, as often when you dominate the conversation, you dominate the prospect away from you. 7. You Display Lack of Leadership. CLOSING is LEADING the prospect, not just trying to get the application or sale. These are 7 “Closing” secrets that NO ONE will teach you in your home business mlm network marketing business. 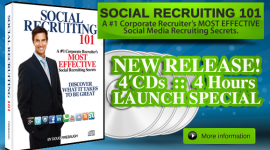 FREE Social Media ebook- Social Recruiting Power- over 50 secrets! Do you struggle with your “closing” as many people call it for their network marketing business? Do you have a “pat” way that you close your prospect or do you try different things in your home based business? What would be your closing ratio for your network marketing business when you ask for the order? Many distributors struggle and do not need to. First off, I do not call what most call “Closing the Prospect” Closing. I really shy away from it, as it has a tendency to cast a negative message unknowingly to yourself. When you use the word “Close” it has a tendency to be a win or lose proposition. Nothing much inbetween. You either CLOSE them or you do not. I prefer something more…well…GENTLE and something that will not be seen as a “transaction for MY gain” as often it comes across like that. I have seen “closers” that ALL they focus on is what THEY can get out of the prospect, not what the prospect can get to improve their life. In network marketing, I have found throughout the world in my travels, EVERYONE feels the same way about this- they DO NOT want to FEEL like they have been CLOSED. I had a leader out of Perth Australia recently say that the biggest complaint he hears from his team’s “closing” is that is was way too MANIPULATIVE and pressured. That is how many distributors/consultants come across. They are trying to manipulate the prospect into their business and do it quickly. You are going in a losing proposition that will never build a long term home based business. Ok, then what can we do to close the mlm home business prospect? We came up with what we call The “You are Probably Waiting” Navigator. I do not like to call these phrases or questions “Closes” as it is NOT what they are. They are “Navigators” that navigate the prospect to the decision that is right for them. Navigating CATALYZES and OPENS things to happen. So what did we come up with that was so powerful? A very simple question that lays it out and the mlm prospect appreciates your honesty. That’s it, ands has worked wonders through the years. Online as well as offline. And I would suggest that you spend some time practicing it, and getting it down in your own words. If you do, don’t be surprised if you start seeing some amazing results in your mlm network marketing work at home business. How would you like to explode your mlm recruiting ratio when closing? Would knowing a question that has proven to be a powerful network marketing recruiting tool help you? Would you like to explode your ability to get people to enroll with you? There are many ways to ask people to sign up or join you in your mlm business. There are many different tactics that we have on this website that can help you get a prospect to take action in joining you in your home based business. But many trainers teach different things on how to “close” someone and I agree with most. But I prefer not to use the word “close” as it really is not what you are doing. I prefer the word “helping” as that is what you are actually doing. You are HELPING them make the decision that is best for them and right for them. If a prospect is NOT really right for your business- do you really want them IN your business? If your business is not BEST for the prospect and her family, do you want them to waste their time in your network marketing business? That is something that Leaders understand. 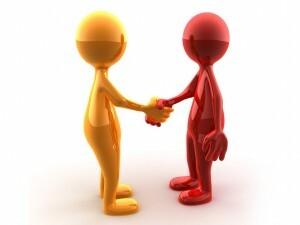 Yes, get them as a customer and get as many referrals as you can. But don’t recruit someone just for a paycheck. That is NOT how you work this business. Drive your business with them through USAGE and CONSUMPTION of products. They may later prove to be a person that can work this business. But start them off slow. Leaders prefer to look at the process of “closing” as a way of HELPING- TRULY helping the prospect to move their life in a direction that is right for them and YOU. Many network marketers are more interested in getting VOLUME from a prospect then giving VALUE to the mlm prospect. Many home business owners are focused solely on what THEY can gain from the mlm prospect, not what the prospect can gain. You KNOW I am telling the truth about this and that is why that so many people do not succeed in our profession. They try to close the prospect for their gain- not the prospect’s gain. What would happen if you could ask a question and brand yourself as a powerful Leader and also make the prospect feel really good about who they are? Would that maybe help in also getting some powerful referrals? That is the reason for the post. I was talking with someone today and they were talking about all the people they had closed, and how much money they were going to earn. I asked this person what their plans were to help their prospect earn money. This “pro” will not be in our profession more than 18 months. If that. And I am rarely wrong in defining that, as after 25 years you learn a few things about what to look for in people that are NOT doing this business correctly. Ok…then HOW should you close someone that will accomplish what I am talking about? 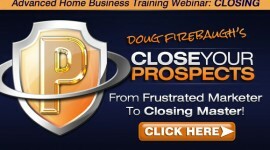 Use this “close” or what I call “helping question” to close any and all your mlm home business prospects. 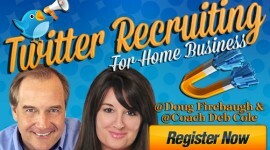 MLM Recruiting- The 5 rules You CANNOT Break! Closing an MLM home business prospect can be difficult for a lot of people…why? How would you like to learn a powerful closing tool that has proven to move prospects when nothing else really could? Would that create some excitement in your daily efforts for your network marketing business? Many people today are looking for what I call “Success Insurance” for their business. This is something that will INSURE their home business success happening on a daily basis. Even in a hard and difficult economy. A great life and worry free life. YOU must show them the way and get them to FEEL good about where you can take them concerning their dreams. If you do that one thing alone, and nothing else, it will explode your closing ratio. “Closing” is term that I rarely use my self as it does not fit the psychology of what the prospect wants to see happen. NO ONE wants to be “CLOSED.” Come on….that is the truth. They want doors OPENED, and a new future OPENED, and a new destiny OPENED to their life. This little mlm recruiting secret will help address that concern the mlm prospect might have when you are talking to them. The Best INSURANCE is REASSURANCE when recruiting a home business prospect. They are looking to be “insured’ and no matter what happens, they will be ok, with their income, jobs, housing, mortgage, and cars. Some are even looking for “Excuse Insurance” —so their excuses will be valid during these tough times and they can continue to use them. But the best insurance for today’s tough times is REASSURANCE that reassures the prospect that they will be ok, they will be moving forward, and they will be in a BETTER PLACE next year then they are now- by working with you. This is a Leaders’ way of communicating and directing the prospect to your business. People are looking for Reassurance in their life direction. People are looking to be reassured that NO MATTER WHAT HAPPENS– they will be fine and their family will be as well. Reassure your prospect- to insure – their moving forward with you in your mlm network marketing home business. 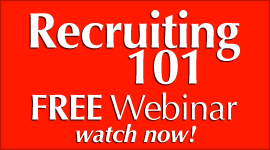 What can we Learn from a #1 Corporate Recruiter in the Nation? 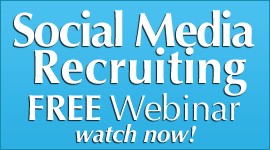 Social Media Recruiting- What is More Important-Content or Contacts? MLM Closing – How to Close Your Home Business Prospect in 2 Steps? Your home based business Will never take off, if you never ASK for the prospect to DO SOMETHING. That is what the successful do. They GET PEOPLE TO MOVE off dead center. And that is one of the best secrets to success in network marketing. What would happen if YOU just doubled getting people to TAKE ACTION? It would EXPLODE your home business! Now IT’S TIME to do that very thing in your home business. Here is a Scenario for your mm business: I want you to imagine going through your presentation. You’re really stoking the presentation going through a series of “Next Moves” to keep your mlm prospect involved and increase their knowledge and interest in your home business. It is Decision TIME in your home business. Understand that the last thing you want to hear at this point is a “Maybe.” it does not matter if you are doing an online recruiting process or a face to face- Decision time comes. Home Business Secret: Maybes in this business will KILL YOUR BUSINESS. You MUST get Prospects Off the Fence! The Decision is where the Involvement is either Agreed to or they are told you are not who we are looking for. You cannot make money in this home business profession without bringing them to a Decision. On the Fence = Off the Pay Plan. In Network Marketing- NEVER Close. Phrases to help LEAD people to the decision that is right for them. You know, all I want is what is best for you and is right for you. This was for me, but you’re not me. I am not here to convince you of anything only to see if this is right for you. What is the one thing that really got your attention? Yeah, a lot of folks like that part. What you have done is create an environment TO HELP THEM MAKE A DECISION! Be a Leader with Navigators instead of just getting them to sign an application. If you’re a leader, you will get plenty of apps. Best of all – the Decision is simple to get. You MUST help and guide people to a decision that is right for them. If they do not join you , they will REFER you to folks precisely because you didn’t try to pressure them to do something that was not for them. Get them as a customer and get referrals and you’ll achieve success in MLM and Network Marketing. MOVE the PROSPECT to TAKE ACTION. Either GET THEM to JOIN YOU or to REFER TO YOU or BE HONEST with you. Get them OFF THE fence and your Success will grow rapidly in your home business mlm. LinkedIn Recruiting? Recruit 10 Professionals a MONTH on LinkedIn? In a home based business, there has to be a time that the MLM prospect is asked to DO SOMETHING. They have seen a video. They may have seen a webinar. They may have tried the product. They may have been to a LIVE home business meeting. But you know in your gut that it is TIME to get them to MOVE ON or MOVE OUT. 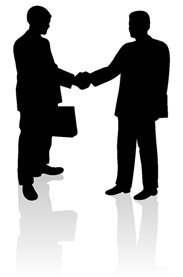 In network marketing, it is often called CLOSING. We prefer the word “Navigating” as that is actually what you are doing. You are helping to “navigate” the person to the decision that is RIGHT FOR THEM. But there are 7 HUGE mistakes that we have found that distributors make that truly push the prospect away or even worse, make them angry. And if you are making even ONE of these mistakes, you need to throttle it back and stop in your MLM business. If you pressure the prospect to make a decision, usually it will be NOT to do this business. Yes, you must MOVE the prospect, but not through pressure. That is a HUGE mistake made in this profession. Take off the pressure and see how the prospect responds. I believe you will like how it turns out. 2. Talking the prospect out of Joining. WHAT??? Yep. You do that with way too much verbiage and way too much conversation. Too many words= I am CONVINCING YOU. Convincing is NOT Closing. Closing is simply asking questions and reassuring the prospect that all is well and the need for your product and business is real. I would suggest ask a question and then remain quiet. Let them make their mind up with you encouraging them…but not talking them out of it. “Closing” is leading someone to a decision that is BEST for them-not just you. Prospects are looking for SOLUTIONS and you need to come across like a LEADER and provide the Solutions they are looking for. Lead them with your words and Success stories you tell them, as well as your strength. Leadership Power is 70% of “closing” a home business prospect. Most focus on the other 30% – what to say and do. That is EXTREMELY important- but only 30% of the equation. 4. Being too Timid or Lacking Confidence. 5. Buying into the Prospect’s Excuses and Lameness. Prospects often will give you an EXCUSE as to why they cannot do this business. Most of them are not valid. They are simply giving you a knee jerk response they have learned as a child. Do NOT just accept their excuse as a valid truth. Ask them about it. Get them to really see that is is not a valid excuse as they have gifts and talents yet to be discovered. Encourage-Encourage-Encourage. 6. Playing Defense and NOT Offense. Ok. Defense is only good for ONE THING- protection. And if you are in a “protection” mode and not a “motion” mode, the prospect will sense it. You must be aggressive- but not pushy. There is a HUGE difference. Playing defense is coming across as “PLEASE!” You do not NEED them. This profession is NOT for the needy. It is for the Strong and Convinced. Quit playing defense afraid the prospect will tell you NO. If you expect that, then you will get that. Be UP and be POWERFUL. Play offense and EXPECT a YES. 7. Being Emotionally Attached to the Prospect’s Answer. 2 very Important Words: DON’T CARE. Those are 2 business transforming words regarding the response of the prospect. If you are DETACHED to the prospect’s response, you will be so much more MAGNETIC to the prospect. Be detached to the answer. Be detached to the words of the prospect as they need to know you do NOT need them- THEY NEED YOU to move their life forward and into a bigger and grander lifestyle. 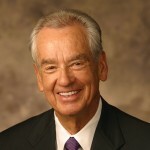 I would suggest that you change your actions if they are in Closing your MLM and Home business prospect. Network marketing Leadership Building- How Do You Do That?